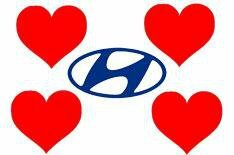 Hyundai: best loved, not biggest | What Car? Hyundai's vice-president Euisun Chung says the company is not pursuing the goal of becoming the world's biggest car maker. The company is currently the fifth biggest car maker in the world, behind Ford, Volkswagen, General Motors and Toyota and has been growing at a faster rate than its rivals in recent years. However, speaking at the launch of the new Hyundai Veloster coupe, which will go on sale in the UK later this year, Chung said: 'Our goal is not to become the largest car maker in the world, but the best loved. 'We want to create cars that customers love, and which keep them coming back to Hyundai." Chung also said that car companies have to build cars that customers want, rather than pushing prices up by installing technology that nobody needs. 'Today, customers do not believe that expensive cars with unnecessary technology are premium,' Chung said.